Today kicks off my month long blog tour. Every day for the next twenty-seven days I will be featured or interviewed on a blog, talking about my newest release and the writing life. On top of all the goings on that happen when a book releases, I am very busy writing a Christmas novella that will release September 1 of this year. With so much to keep track of, I think it might be time to find a new system for organizing everything I have to do. Those two pictures above are my current planner. It’s a very nice Barnes & Noble Desk Diary that in the past I would buy each year. 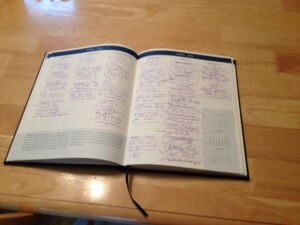 In October, when I shop for a planner, I saw it and remembered that it had been several years since I used one. So I added it to my pile of books and off I went. It’s a basic daily planner where I can schedule events by the hour throughout the day and into the evening. 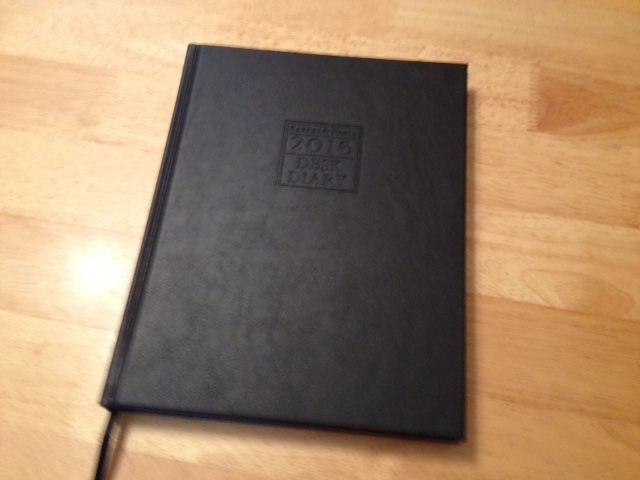 However, I think I’d like a planner with more than the basics. For one thing, there isn’t much blank space for notes. I think I’m also missing having sections for things like books to read, expenses, and ideas. So I’m coming to my fellow authors and readers…..do you use a planner? If so, do you like it? Which one did you find works best for you? And where did you find it? I expect I’ll be shopping for a new planner this weekend so your recommendations are really appreciated. Below is a link to the schedule for my month long blog tour for A Wife for Humphrey. I hope you’ll stop by along the way and say hello! Happy Wednesday and to those who are celebrating this Sunday, Happy Mothers Day! !